As the 2018 general elections draw nearer, the National Coordinator of Buhari Campaign Organization (BCO), Alhaji Danladi Garba Pasali has said President Muhammadu Buhari deserves a second term because he has an integrity that even his perceived political rivals cannot question. He said owing to this and the way he has saddled the ship of this country for the past four years, he is the best among others vying for presidency in the 2019 election. 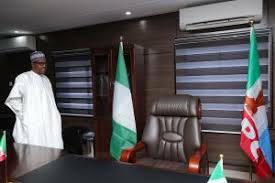 Besides, he disclosed that a whopping sum of money has been set aside for various empowerment schemes from the federal government. Alhaji Pasali made this known at the Inauguration Ceremony of Oyo State Liason Officers and Executives of Bus Conductors’ Association of Nigeria (BCAN) which is an arm of Buhari Campaign Group in Ibadan, the Oyo state capital. According to him, “This is the first time, Nigerians will be having a man with integrity leading the country. An administration where nobody is taken into office without a clear knowledge of his possession”.